Bolle 6th Sense is a Semi-Rimless frame for Men and Women, which is made of B88 Nylon. Ideal for usage with: Sports, Water Sports, Golf, Tennis, Snow Skiing, Beach Volleyball, Extreme Sports, Cycling, Jogging, Triathlon / Multisport, Water Skiing, Swimming, Fishing, Fresh Water, Baseball. 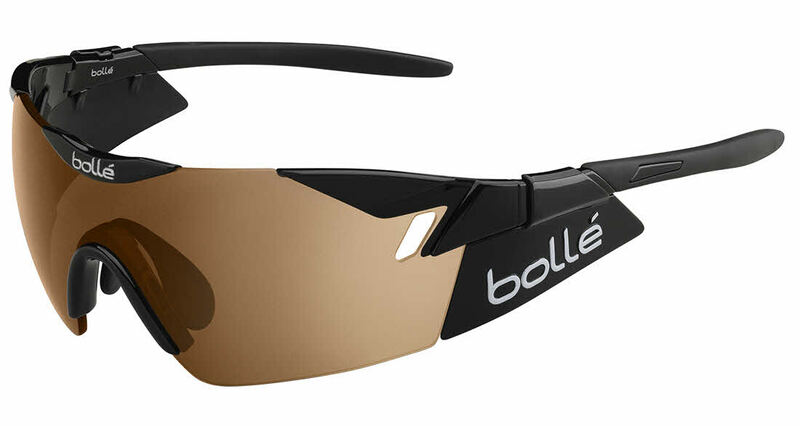 Bolle 6th Sense Sunglasses come with a cleaning cloth and protective carrying case. These sunglasses fit perfectly. The polar lenses along with snug temples and temple covers allow these glasses to be a part your athletic lifestyle no matter what one may be doing. They are stylish as well so that they can be added to any wardrobe. Great all around sunglasses!